Gift Guide: 10 Gift Ideas for the Coffee Lover - Mom. Wife. Busy Life. Do you have a coffee drinker in the family? I love coffee. It’s the first thing I look forward to each day! 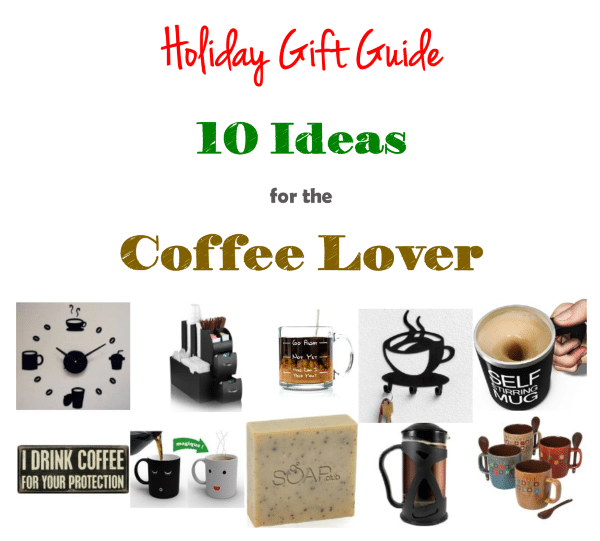 Here’s a a great list of coffee gift ideas for the coffee enthusiast in your family! See all of my Holiday Gift Guides at the end of this post + stay tuned for more guides to be posted in the next couple of weeks! The Mr. Coffee 8-Piece Cafe Americano Mug Set with Spoons looks well-designed!